D9009 ‘ALYCIDON’ should be running at the East Lancashire Railway this coming weekend (July 27/28) as part of the line’s ’1968 End of Steam Festival’ which marks 45 years since the British Rail operated its last main line steam trains. 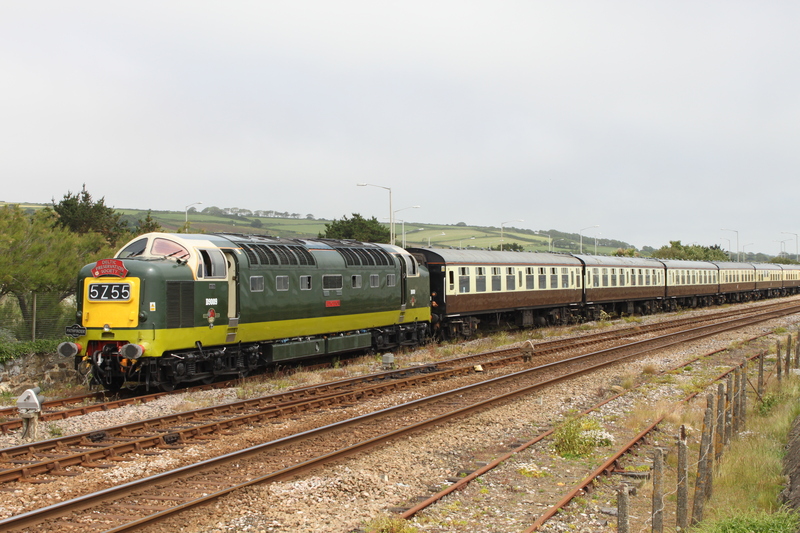 D9009 will be working alongside two other green diesels, Class 40 No. D335 and Class 47 No. 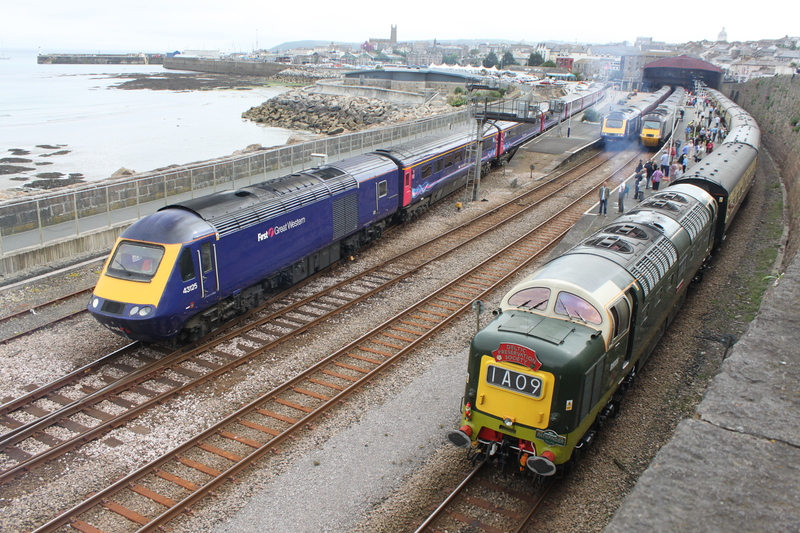 D1501 and steam locos 47324, 44871, 45407, 49395, 70013 and 80080. 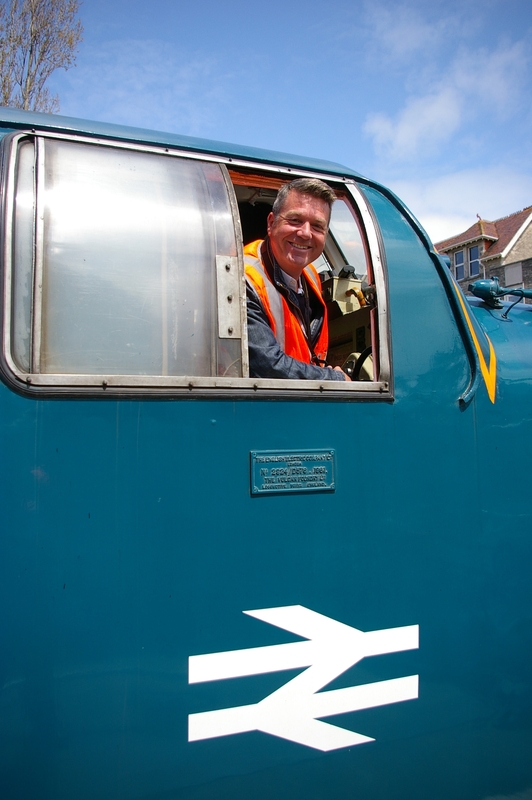 Saturday July 27: 09.30 Bury-Heywood, 10.00 Heywood-Rawtenstall, 12.00 Rawtenstall-Ramsbottom, 12.55 Ramsbottom-Bury, 13.15 Bury-Rawtenstall, 14.05 Rawtenstall-Heywood, 15.30 Heywood-Bury. Sunday July 28: 08.35 Bury-Rawtenstall (banked by steam), 10.25 Rawtenstall-Bury, 11.25 Bury-Ramsbottom (piloting 70013), 12.55 Ramsbottom-Bury, 13.50 Bury-Ramsbottom, 14.45 Ramsbottom-Rawtenstall, 16.50 Rawtenstall-Bury. This week, we highlight a recent new model from Bachmann, namely that of D9011 in 1961 condition prior to naming and application of yellow warning panels. The model comes in weathered condition. It is available from DPS Sales priced at £85.00 plus £7.50 postage and packing (sent via Royal Mail ‘Signed For’ service). You can order from DPS Sales, 18 Kempton Drive, Dunsville, Doncaster, DN7 4QA (please make cheques payable to DPSCS), or by phoning Sam on 01302-888100. The model will also be on sale/available for collection at the Gloucestershire-Warwickshire Railway diesel gala on July 26-28, where the DPS Sales Stand will be in attendance. 10.44 Bury-Ramsbottom, 11.34 Ramsbottom-Bury, 14.30 Bury-Rawtenstall, 16.16 Rawtenstall-Heywood, 17.25 Heywood-Bury. 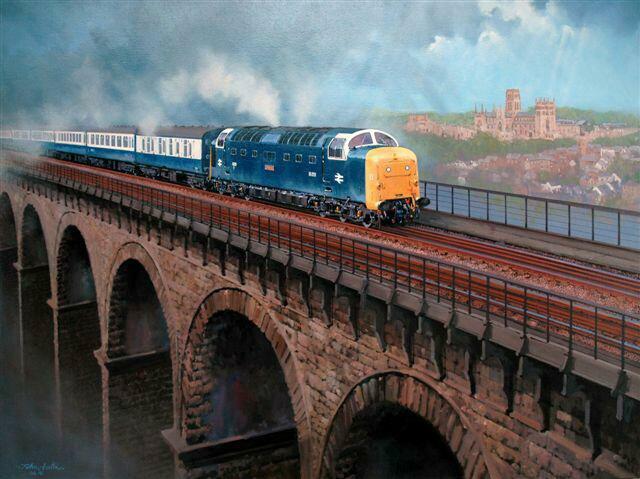 The DPS has available a Limted Edition Print entitled “Deltic at Durham” by John Austin, featuring 55009 ‘Alycidon’ in BR blue with white cab window surrounds. It is priced at £39 plus £6.50 postage/packing. Please send any orders to: DPS Sales, 18 Kempton Drive, Dunsville, Doncaster, DN7 4QA. Please make cheques payable to DPS Commercial Services Ltd.
55019 ‘Royal Highland Fusilier’ spent three days operating at the Swanage Railway between May 10th and 12th as part of the railway’s annual diesel gala/beer festival, which was the second gala outing for one of our locos this year. D9009 ‘Alycidon’, which was used to haul a convoy of visiting locos to/from the event, also made a static appearance at the event, being open for cab visits, enabling people to see the loco with its newly-fitted GSM-R equipment. 55019 also operated the diesel diagram at the Swanage Railway on May 18th prior to departing, with 31466, 33108 and 37521, behind D9009 for Didcot. 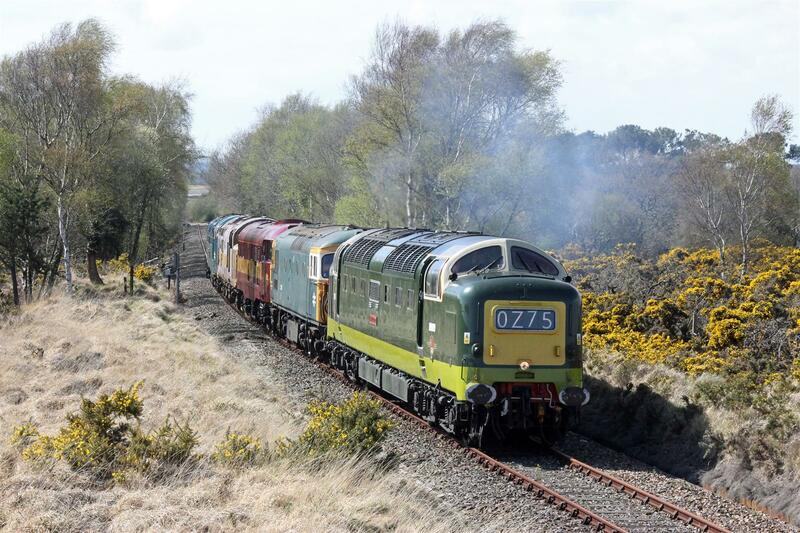 The picture below, courtesy of Andrew P M Wright, shows the convoy, which ran from Barrow Hill via the Dean Forest Railway to collect the Class 31, on the Swanage Railway on May 3rd. One special guest we had at the event on May 11th was Mark Collins, one of the co-presenters of the ‘Trainspotting’ series on Discovery Channel. He was attending the gala to promote it on his show on local radio station Wave 105. Mark also received a guided tour of 55019′s engine room by Stuart Page, who took the photo below.